The renderings of this concept race car have been around for several years. This has supposedly even been in the running as a replacement for the current "Indy" car chassis. Looking more Batmobile, than race car the DeltaWing was revealed today with a 1.6 liter direct injection gasoline, turbocharged Nissan engine similar to the engine in the Juke. The cars first official race will be the Le Mans 24 Hour - June 16-17th, but it will make some demonstration laps at Sebring on March 15th.It is a very different looking race car. Its great to see Nissan behind plenty of racing for this year, and hopefully the future. Nissan is aiming to change the face of endurance racing forever by becoming a founding partner in the most radical motorsport project of its time - Nissan DeltaWing. While Nissan DeltaWing will not be classified in the 2012 Le Mans 24 Hours, the Company is looking to showcase the pioneering technology that will show one potential direction for the future of motorsport and will feed into the research and development of future technologies, that filter down to Nissan's road car product range. 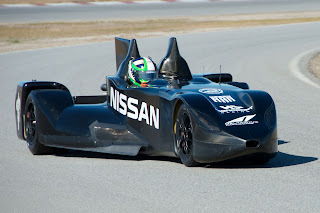 With innovation at its core, Nissan was a natural partner to be invited into the DeltaWing family by the existing group of core partners - US-domiciled British designer Ben Bowlby, American motorsport entrepreneur Don Panoz, the All-American Racers organization of former US Formula 1 driver Dan Gurney, Duncan Dayton's two-time championship-winning Highcroft Racing team and Michelin Tyres North America. The engine, badged DIG-T (Direct Injection Gasoline - Turbocharged), is expected to produce around 300hp, sufficient to give Nissan DeltaWing lap times between LMP1 and LMP2 machines at Le Mans, despite having only half the power of those conventional prototypes. It features the same technology found in Nissan road cars, such as the range-topping Nissan Juke DIG-T.
"As motor racing rulebooks have become tighter over time, racing cars look more and more similar and the technology used has had less and less relevance to road car development. 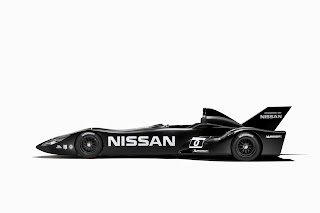 Nissan DeltaWing aims to change that and we were an obvious choice to become part of the project," said Andy Palmer, Executive Vice President, Nissan Motor Co., Ltd.
"But this is just the start of our involvement. 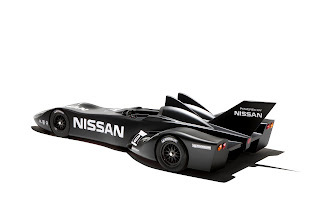 Nissan DeltaWing embodies a vast number of highly-innovative ideas that we can learn from. 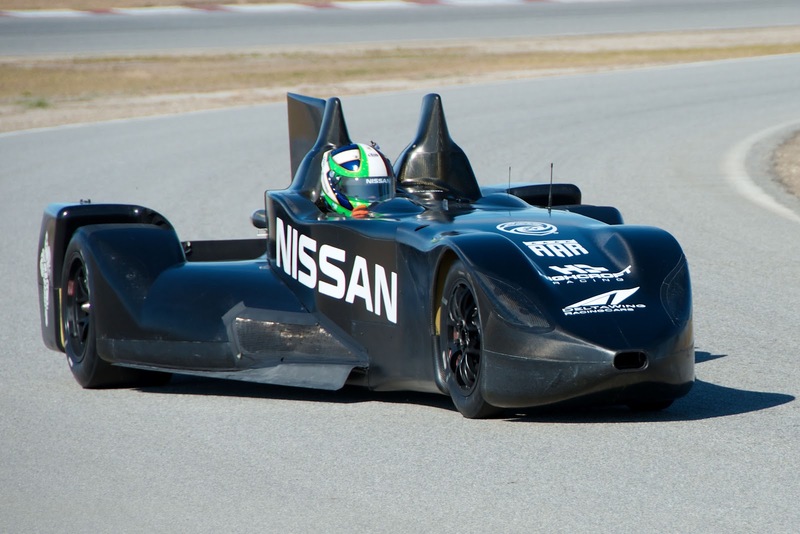 At the same time, our engineering resources and commitment to fuel efficiency leadership via our PureDrive strategy will help develop DeltaWing into a testbed of innovation for Nissan". "This announcement gives Nissan the opportunity to become part of a ground-breaking motorsport project and one which could shape the future of the sport," he added. Nissan DeltaWing concept originator and designer, Briton Ben Bowlby, said: "Nissan has provided us with our first choice engine. It's a spectacular piece. We've got the engine of our dreams: it's the right weight, has the right power and it's phenomenally efficient." Its innovative design and forward-looking technology have encouraged the Automobile Club de l'Ouest (ACO), the organisers of the famous Le Mans 24 Hours, to invite the car to run in this year's race from ‘Garage 56', the spot in the pitlane reserved for experimental cars. As it doesn't conform to any existing championship regulations, Nissan DeltaWing will not be eligible to challenge for silverware and will carry the race number ‘0'. Nissan's expertise has been applied to the development of the engine, in order to make it light and efficient enough to prove the philosophy behind the concept can work in ‘real-world' motor racing. The Company, always among the first to embrace such radical ideas and surprising new performance innovations, has promised to apply key learnings from the experience to inform strategies for its PureDrive aerodynamics and efficiency package for road cars, as well as its overall research & development programmes. Dan Gurney's legendary All American Racers organization has built the DeltaWing. The new car continues the California organisation's incredible legacy as a race car constructor which has included 157 different cars built - earning major victories in Formula 1, sportscars and the Indianapolis 500. Paul Willcox, Senior Vice President, Nissan in Europe, said: "Nissan is a very innovative, forward-thinking company prepared to take a risk or two. And exactly the same applies to Nissan DeltaWing. Our involvement in the project shows the boldness of Nissan from an engineering and innovation mindset." The first two Nissan DeltaWing drivers to be confirmed are British Sportscar racer Marino Franchitti and Nissan's reigning FIA GT1 World Champion Michael Krumm. The car will make its first public demo laps at Sebring, Florida, at 12.30pm local time on Thursday, March 15.